Calvin Seerveld (b. 1930 in New York), professor Emeritus in Aesthetics at the Institute for Christian Studies (ICS), Toronto, received an MA in English literature and classics from the University of Michigan in 1953. He then went on to study under D. H. Th. Vollenhoven at the Free University in Amsterdam before begining to teach philosophical aesthetics at the ICS. 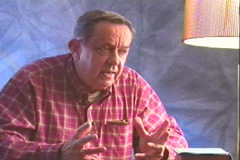 He is the author of a number of important books, including Rainbows for a Fallen World. 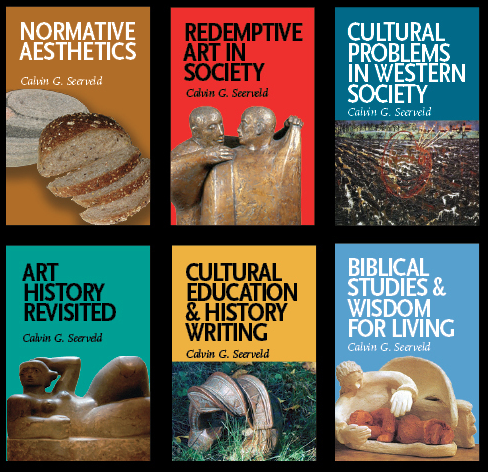 A bibliography of Seerveld's works from 1995-2008 compiled by Steve Bishop is available here. God's gifts our thank offering - an interview[pdf] ABC Radio Insight programe July 1987. Reading the Bible and understanding art [pdf] The gist of an illustrated lecture (2001). Reading the Bible like a grown-up child [pdf] Banner (June 1995); also in Comment (June 2006): 12-15. Creativity [pdf] Big Picture 1 (3) (Trinity 1999): 5-6, 31-32. Prov 25: 11-15. (March/ April 1972): 5, 34. 'Will you be a joke to God?' (Prov 24) (Jan/ Feb 1973): 15, 30-31. 'Tomorrow is the gift of the Lord' Prov 27: 1-11(1973): 24-6. Prov 27. (Dec 1973): 30-31. 'Proverbs 27 again' (March/ April 1974): 24-5. 'Uncover wrong to heal things straight' (Prov 25:2-10) (May/ June 1974): 30-31. 'The evil of authoritarianism' (Prov 29) (Sept/Oct 1975). 'How God's word in Proverbs communicates' (May/ June 1975: 10-11).